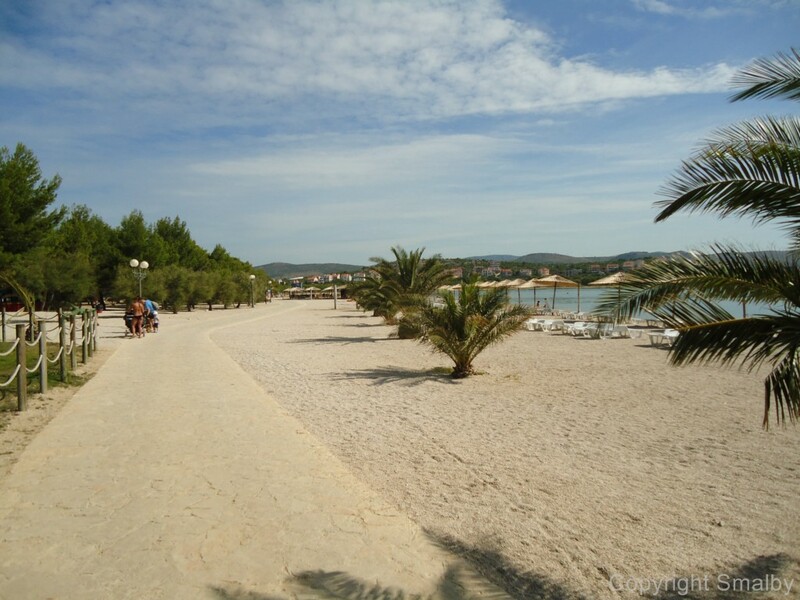 Sibenik is best known for its UNESCO listed Cathedral St. James, but Sibenik has much more to offer! 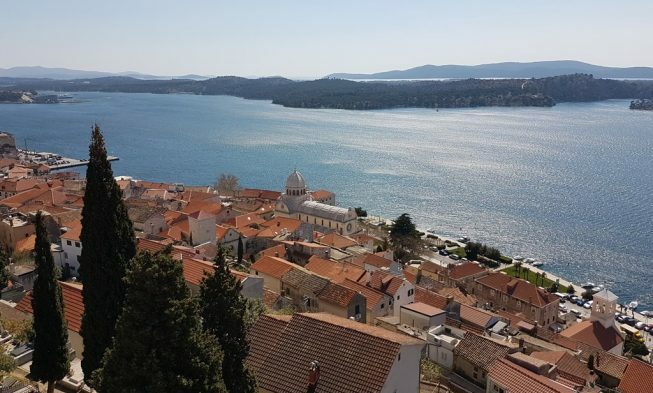 Back in the 15th and 16th century Sibenik was one of the best protected cities on the Adriatic coastline, as it was protected from the mainland and the seaside by a total of 5 fortresses. 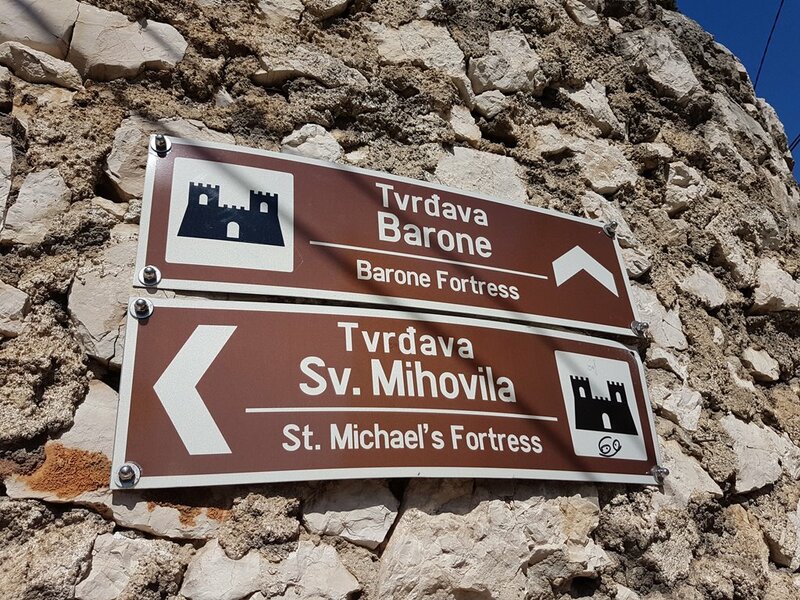 Recently I had the pleasure of visiting 3 of the 5 fortresses, my ‘fortress round trip’ started in front of the St. James Cathedral, from here signs will point you the way to the St. Michael’s Fortress (Tvrđava Sv. Mihovila). The walk to the fortress takes about 10 minutes. 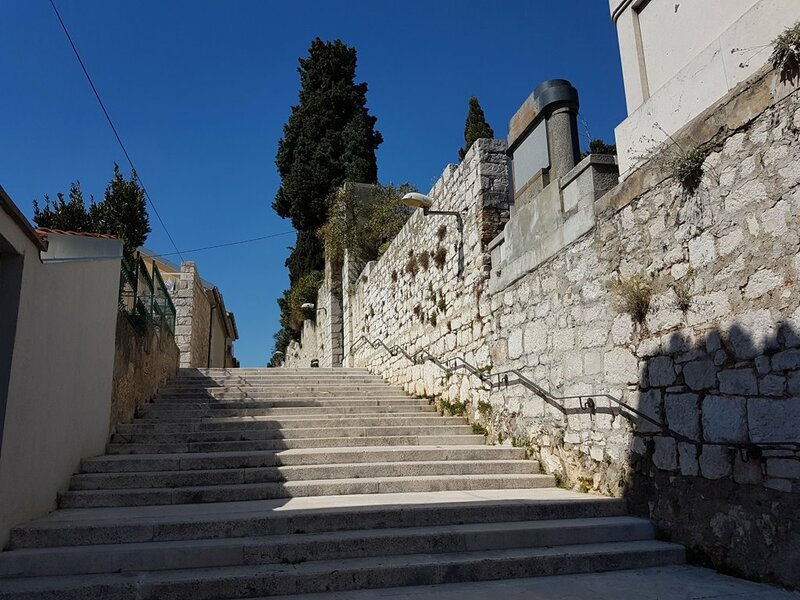 Since the fortress is located 60 meters above the sea level you will have to climb quite a few steps. 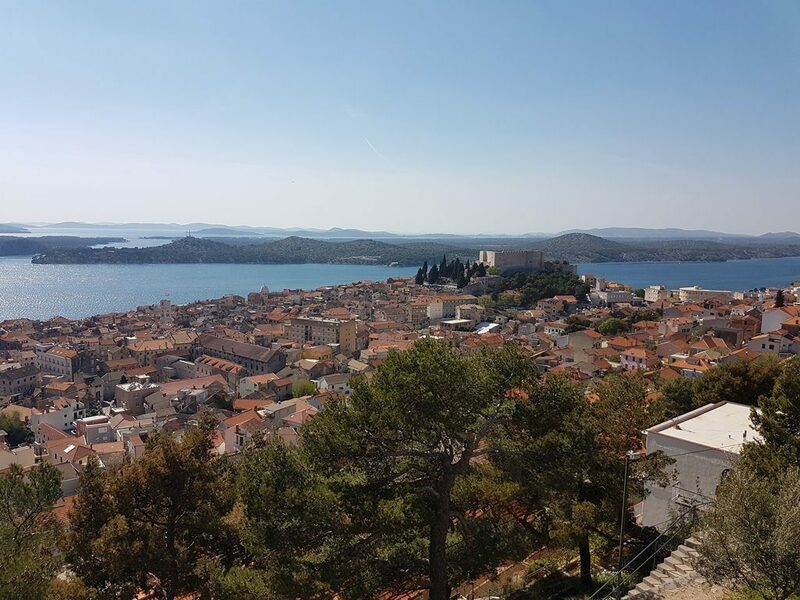 It is worth it because the Medieval St. Michael’s Fortress is definitely a must-see in Šibenik. 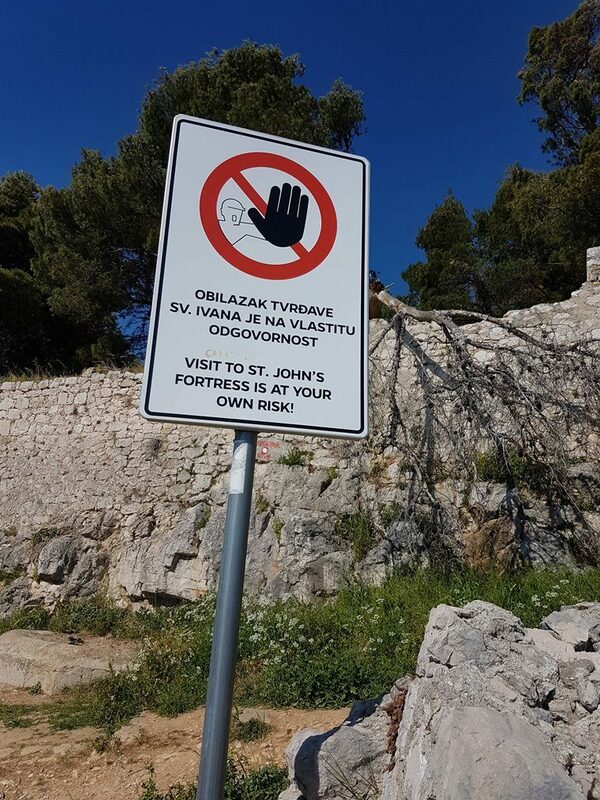 NOTE: You can also park your car fairly close to the fortress, people in wheelchair or with walking disability are permitted to go all the way to the fortress by car. Access for persons with disabilities is available on the plateau below the Fortress. 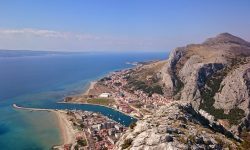 At the entrance you will have to buy a ticket, I recommend that you get the daily ticket that costs 50 kuna, which might seem a bit pricey, but that ticket is valid for visiting both the St. Michael’s fortress and Barone fortress up to 7 days from purchasing. Here you can see the opening hours and other ticket prices. 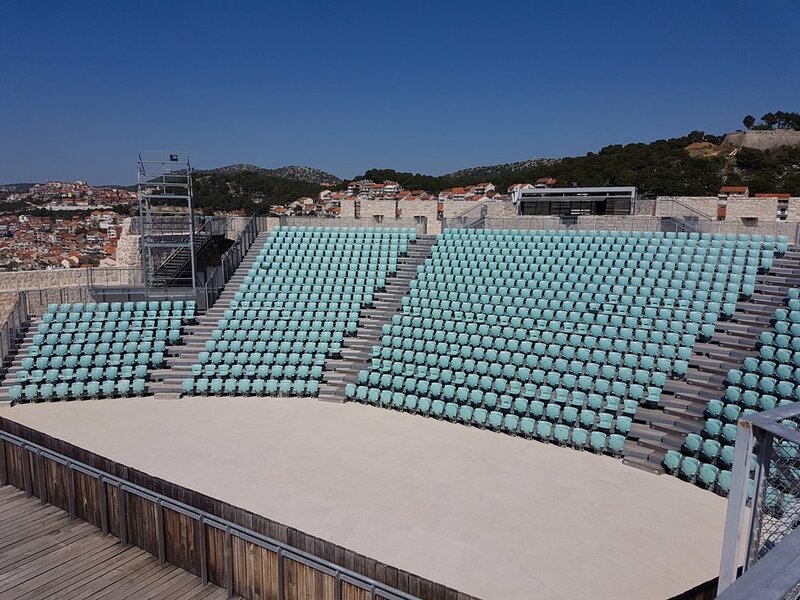 From 2012 to 2014 Fortress Michael was completely renovated, the open part of the fortress was made into a permanent open-air stage with more than 1000 seats. Incredible acoustics and a beautiful view make this fortress a great place for concerts and other events. Here you can check their yearly program. 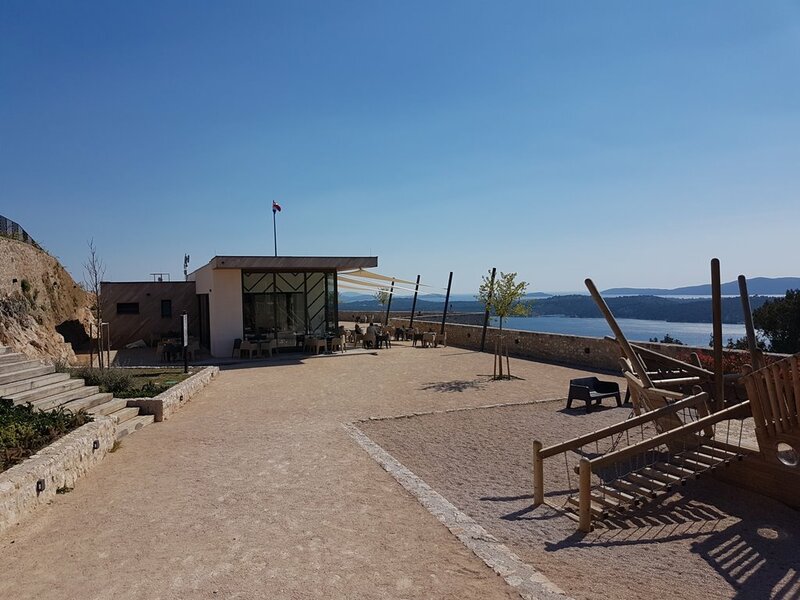 In the inner part of the fortress now contains a coffee bar and in the basements renovated old water tanks as well as two brand new spacious and modern restrooms and other facilities. As mentioned above the daily ticket also is valid for the Fortress Barone (Tvrđava Šubićevac), so if you are up for it walk from Michael to Barone, which is a 10-15 minute walk up a steep hill, so make sure to bring water on hot summer days. 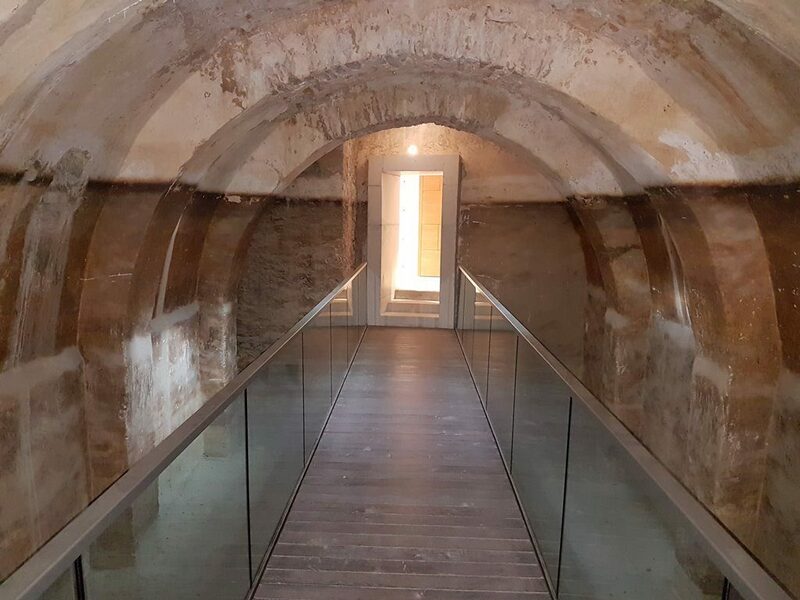 The Barone fortress has also undergone a complete renovation (now also wheelchair friendly) and was reopened to the public in the summer 2016. In addition to the fantastic view, the fortress now has a cafe, new restrooms as well as playground for kids. 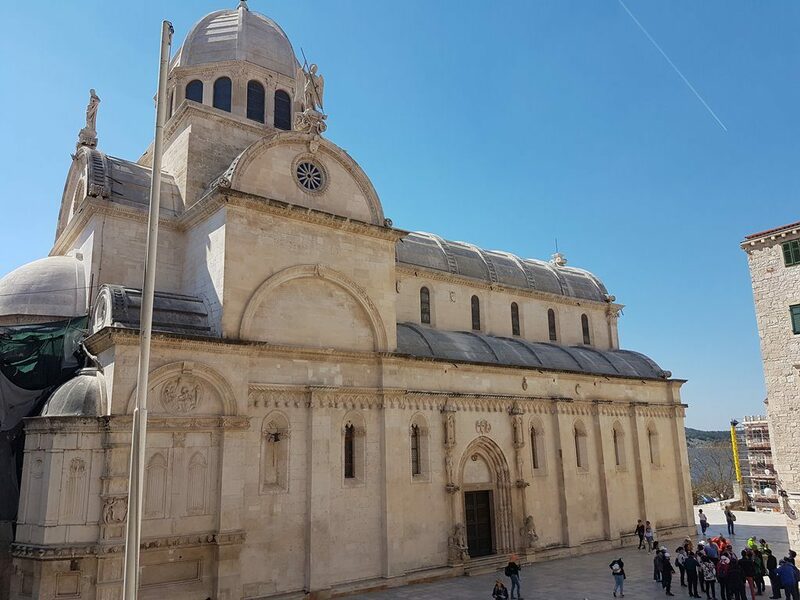 It also features a high-tech museum where you can learn a lot about the history of Sibenik and a cultural center where you can try local dishes and buy authentic souvenirs. If two fortresses are not enough for you, head from Barone to St. John’s Fortress (Tvrđava Sv. 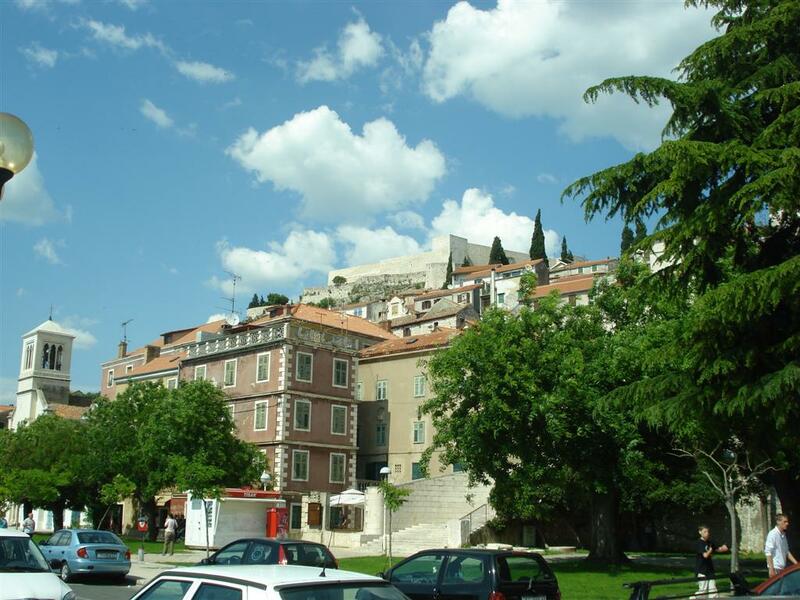 Ivana), located 15 m high above the old town centre of Sibenik. The walk from Fortress Barone to St. John’s Fortress takes about 10 minutes. The first thing you will see at your arrival is this sign! 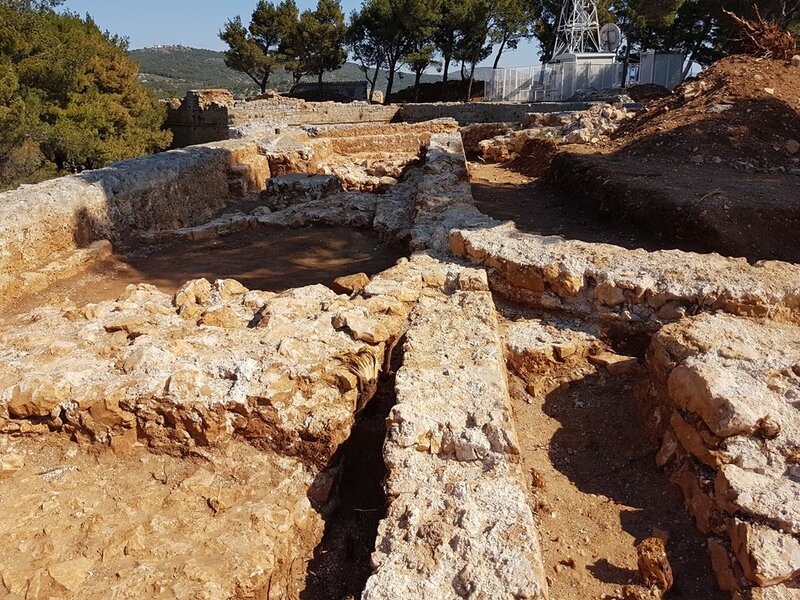 St. John’s Fortress is currently being renovated and excavated, you can see all of this but on your own responsibility. The reconstruction should be finished till the end of 2019. 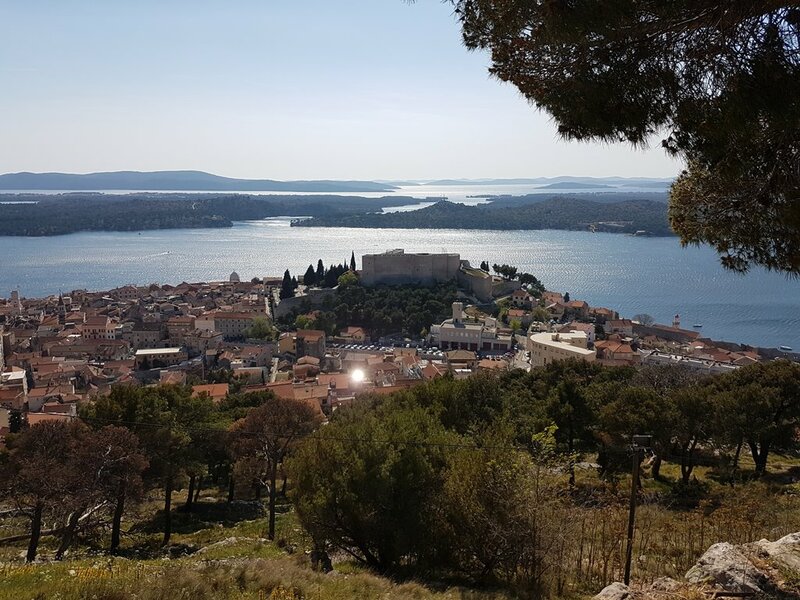 If you decide to brave the climb to the fortress you will be rewarded with a magnificent panoramic view of Sibenik and other fortresses! In addition to these 3 fortresses there is a smaller fortress on the other side of the old town called St. Anne’s Fortress as well as a very interesting St. Nicholas Fortress (Tvrđava Sv. Nikole), those I plan to visit another time!